When my kids think of cruising the first thing they mention is the kid’s club. In years past they have thought of it as a place they went while we strolled around the ship shopping and having date nights. Now they don’t care what we do as long as they can go and be with their friends. 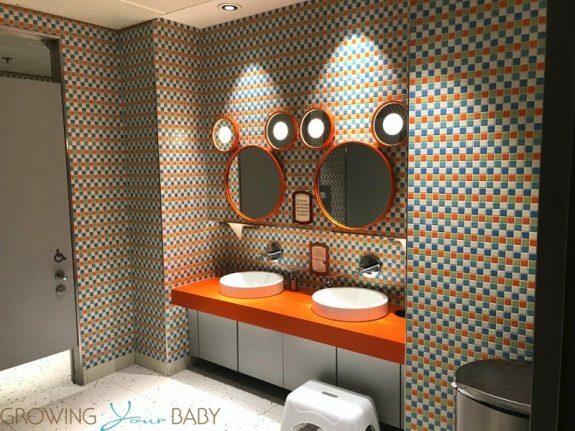 Most cruise ships do a really good job of creating a magical space just for kids. There are always crafts, activities and themed nights that are a hit with my boys. Disney, however, takes it to a level we’ve never experienced on a ship and my kids noticed. When we told them we would be cruising on the Disney Dream they screamed ‘Kids Club and Ice Cream!’ True story. 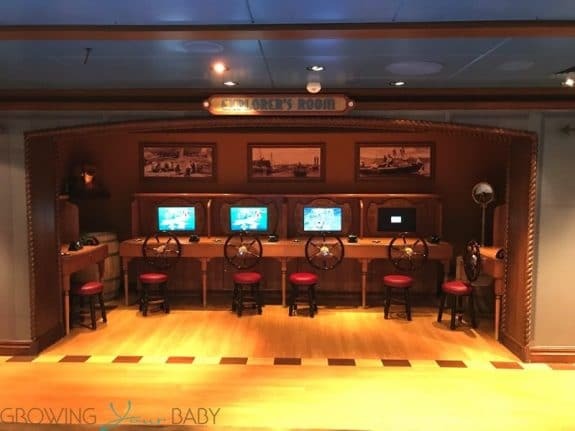 If you plan to sail on Disney Dream here is a tour of what you can expect from the kids club! Before we boarded the ship I registered the kids for the club so we didn’t have to spend time on our first day waiting in line. I highly recommend this. It saved us a lot of time during our first drop off, which was during dinner. When you arrive at the cruise terminal your child will get a magic band that is just for the kids club. They use it to get in and out. Please be careful with this band. They will charge you a fee when you arrive on board but that is refundable when you return it on the last night. It looks very similar to the magic band you get when you arrive at a Disney park. The only difference is it is not a ‘key to the world’. It only gets them in and out of the club and won’t open the door to your cabin. After checking in at the club the first order of business is to wash their hands. 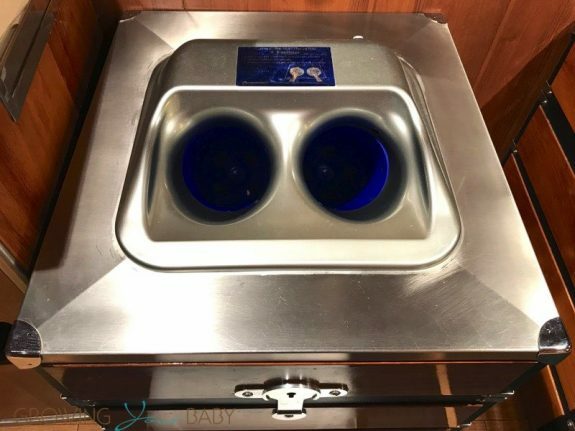 A normal step – but Disney has these ingenious machines where kids put their hands into two slots and the water swirls around them for 20 seconds. While this is a small thing every parent who walked through the doors asked to try it out. Myself included and it was glorious. I’m pretty sure my kids washed their hands 3 times every single time they walked through the door of the club. Once inside there are so many areas for kids to play. 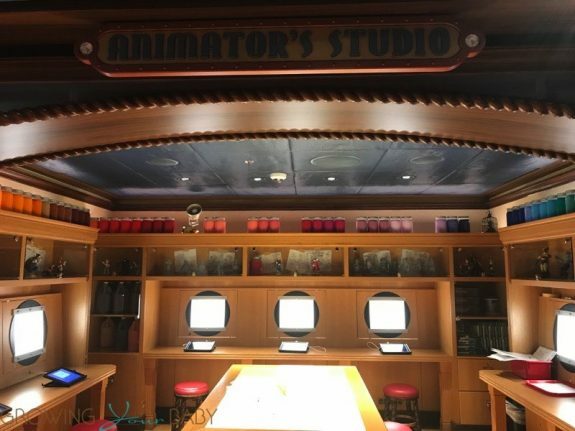 Andy’s Playroom – a staple on each ship, an animator studio where kids can bring their characters to life and craft areas. 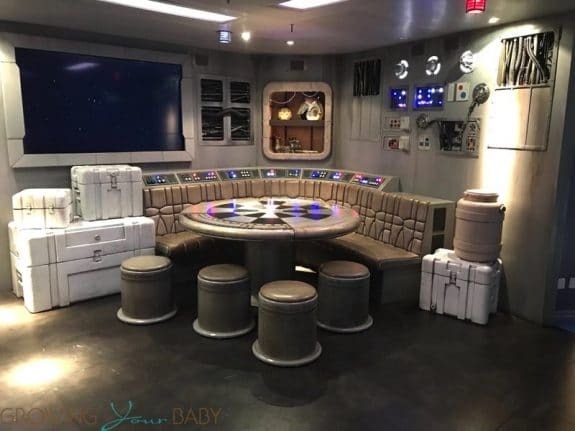 Inside the Oceaneer Club kids can join the Toy Story Boot Camp or become part of the Force with Jedi Training. At the Oceaneer Lab, they will learn how to make slime, solve mysteries and design their own race cars. 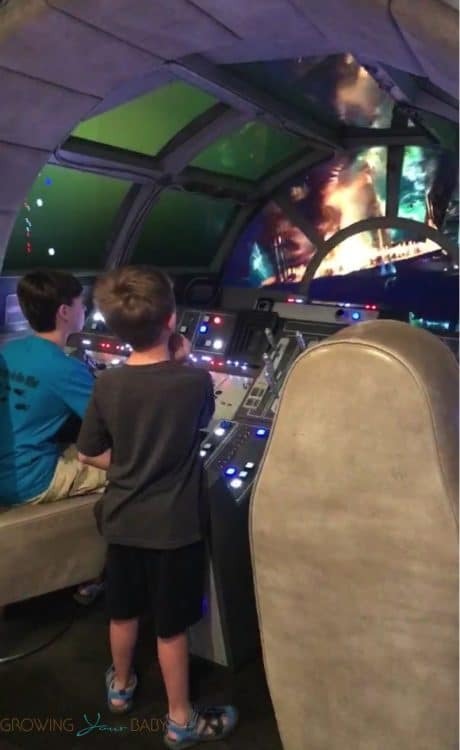 They can even fly the Millennium Falcon! I WANTED TO FLY THE MILLENNIUM FALCON! But my boys said no. 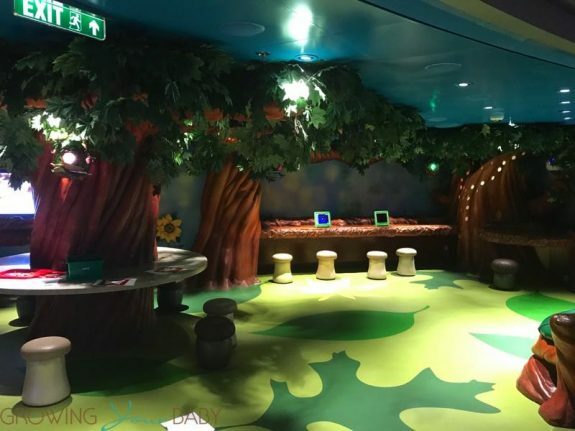 The Disney team has really gone above and beyond to create many different areas for kids to play on their own or with a group of friends. Each night they played games as a team but also had time to just roam through the club and play on their own if they’d like. 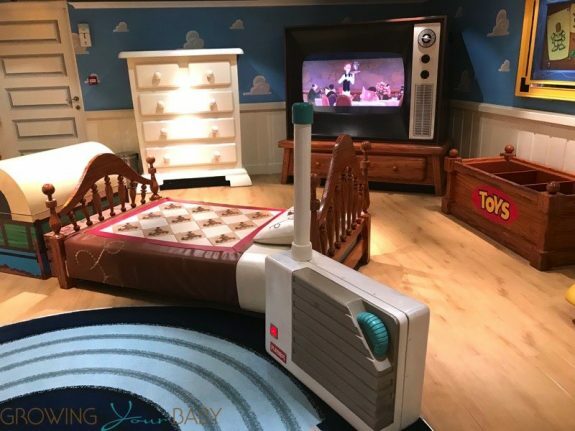 In the Explorers room, they can play one of many interactive including one where they steer the ship! Even the bathrooms are adorable. One thing I like is that you are able to tour the space with your child to see if it is something they will like. 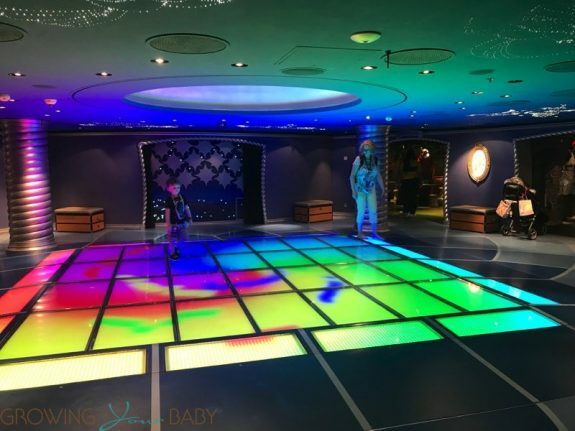 On our cruise, there were many open house opportunities for parents to walk through and see the whole club for themselves. The bands they are wearing also serve as a tracking system so when you come to get them staff can tell you exactly where they are. You can see from the map below the Oceaneers Club and Lab take up about 1/3 of the 5th floor. There are actually two entrances and the two spaces connect from the back through the arts and crafts area. While we were on board the hours of the club varied. Most days kids could be dropped off between 9 am and 1 am for It’s A Small World(Little ones under 3), Oceaneers Lab(3-12) and Edge(11-14). It’s 9am to 10:30pm for Oceaneers Club(3-12) and 10am to 2am for Vibe(14-17). The club is free until midnight but there is a fee for kids picked up after that with the exclusion of Vibe and possibly the nursery. 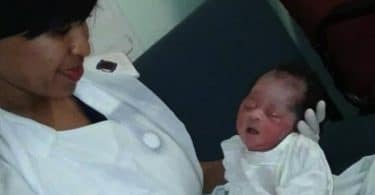 We didn’t have a baby in the nursery so please check with the cruise line about possible charges. 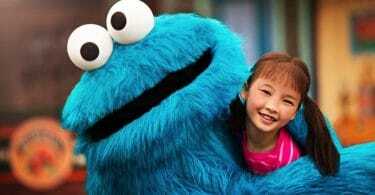 A nice little perk for parents dining on the second seating is staff from the club will be available at 9:15 pm at the entrance of the three main restaurants to bring registered kids to the club. This is nice because each night the kids would eat dinner quickly so they could go to the club but one of us would have to leave the table for ~20 minutes while we walked them over and checked them in. 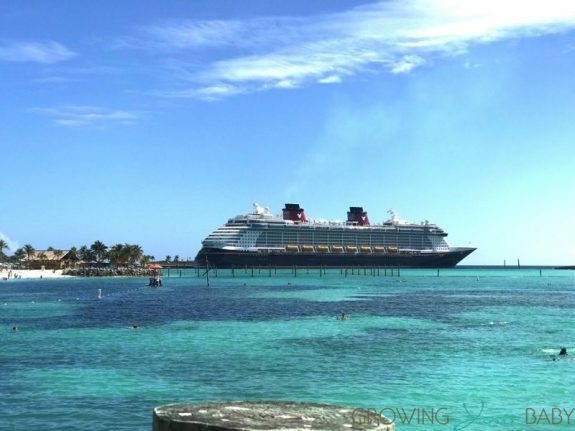 If you are planning to cruise the Disney Dream here is a tour of our cabin >> Cruise in Comfort in Disney Dream’s Deluxe Oceanview Balcony Stateroom! A ship review is coming soon!